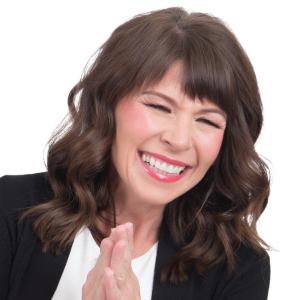 Connie – Today I am so excited to have one of my dear friends and one of our great community leaders and contributors; it’s Jodi Robinson and she is amazing. This woman is not only a published author and a speaker and owner, designer of Dreamers, which are handmade dream catchers; it’s to inspire women to let go of negativity and brace unlimited possibilities. But for the last 18 years she has mentored women in addiction recovery and she has taught life skills to thousands of women in recovery programs. 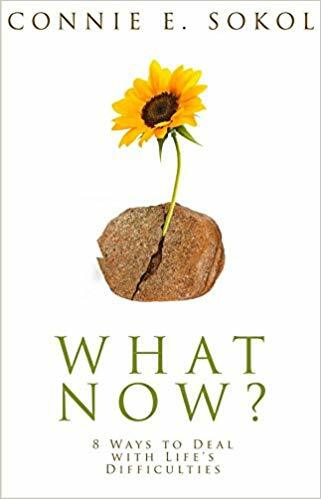 She has spent years involved in this, really being in the trenches of how do you deal with significant life changes, I mean life challenges, and how do you do that to change that, bring it around and actually make a difference. If you can do that with serious stuff, you can do that with the everyday bumps and things that we deal with as everyday women. I have loved getting to know her for years. She is just a kind and compassionate woman. She’s a mother of two young adults and two teens and an 80-pound malamute Yuki and she is just a go-getter. She’s gone skydiving, she’s done a 20-mile backpacking trip through the Grand Canyon; I mean this woman, she just goes and also she’s received the Salt Lake County Governor’s Award for her volunteer work with women in recovery, which is just so fabulous. The thing that I love about Jodi is that when you sit down and you talk with her, you feel like you’ve been friends forever. She’s the kind that makes friends at Costco, at the post office and you know that you’re actually coming over for dinner kind of thing. So that’s what I love about her. Without further ado, what we want to talk today is about what she has learned in mentoring women for all these years. What has she learned about how women deal with life challenges and what they need in order to deal with them. You may be dealing with addiction. You may not be, but what is it in your life that’s the rock in the road? What’s the obstacle and how can you move forward? So Jodi, to speak to that, I want to go back to some things because women experience lots of different things similarly. One of the things we experience is unexpected life shifts. So like you had years ago, I know you started off in the journalism industry and in TV and then the life shift kind of unexpectedly. So quickly tell us about that and what you learned from that. Jodi Robinson – Sure. You know, it’s interesting to know that there’s something within us that feels like a calling. It’s a pull and I had that even as a young girl, I, that makes me laugh when I think about it, but I wanted to be a candy striper and I don’t even know if that exists anymore. But at my high school, it was located right next to a hospital, they had candy stripers. But there were volunteers that would go in and they would uplift people and they would read stories and they would do all those odd jobs, but yet it mattered. So when I went over one day unexpectedly ’cause I had some low blood sugar, that’s when I thought, “oh my goodness, what do you do to sign up to just do good?” Well, journalism called to me because I love telling stories. I love connecting with people. Just like Connie said, I am the woman that will find you at Costco and I’ll be your friend and you will come for dinner. I genuinely have that desire to want to be friends with everybody. But I pursued journalism, I studied it and I did feel like it was my calling. And the reason I did it is because it connected me with people and I loved hearing stories. I wasn’t great on the go, on the hard news and um, I remember being on a, on an assignment once and it was actually a really, really horrible, horrific accident and it was hard for me to imagine myself doing these things every day. So as I began to think, what do I want to do long term, I had no idea that. I would land in a place that really gave me the opportunity to follow what my heart calling was, which was to connect with women and to assist them in their life changes and in their journey to become the better person. And in doing so, it made me a better person. I am a better person today because I know Mandy, and I know Kelly, and I know Wendy and I know Jen, and these are women who recovered from every kind of addiction from whether it was food addiction, heroin addiction, prescription drugs, alcohol and I think that shift going from journalism and television, which was a really wonderful experience, but it didn’t…it didn’t…it didn’t connect with me at my core. At night or anytime I’d be like–gosh, I just want to go talk and I just want to hear their stories. And producing the video or writing the article, I loved it, but what I loved was the people. So, I didn’t know that there was a job that existed. I probably should’ve gone into social work, but I think the key was for me is being open to what my heart was telling me, and when the opportunity came that I could jump into something that was completely unconventional in comparison to following a journalism and broadcasting background. I could do it. I could do it with my life experience, being open to just letting come what comes, my family supported it and it certainly just has fit and it’s brought joy and I still use my journalism and storytelling and those skills along the way. But I think being open to it in my heart was the key. Connie – I love that and I think women listening can really relate to that. So many women I’m talking to, especially the last year, are feeling this desire to really tap into their purpose, not to have a checklist, but being able to fulfill what they are to fulfill and that’s being often being a woman and being a mom and _____. Fulfilling that role of being a mother is the highest thing that we can do and yet women are also feeling, beautifully, that once I’ve been able to like recognize that purpose, I also feel this desire to help every other mother and what can I do? What’s my fingerprint? I love that you listened to your soul and you were open to it. And then another thing is you identified what it is that you loved, like what was your niche? And that was the stories, that connection and like you said, those pieces that the learning that you got from the stepping stone of the journalism was what helped you get into this next phase. When women look at and go, oh, the last 10 years of my life or 20 years had been wasted because I haven’t been fulfilling my purpose is not true. Right? Jodi Robinson – Yeah. Oh, absolutely not. Jodi Robinson – If I hadn’t have had the writing skills and also the presentation skills and the experiences that I had as a journalist and walking up to people to be able to find out the facts about the story and to relate that in a way that in 30 seconds to a minute that I could downsize it. Honestly, that became a skill and so being able to focus and and and connect with somebody and then automatically key in on this is your story and I love being able to say, in fact, this is my theme for this year is I love my story and I want other women to love their story. I teach women how to run a book club. I teach women how to gather people because it’s about connection and when you’re in addiction or unhealthy mental habits, we are isolating ourselves. So when I am, when I am being that champion to any woman, regardless whether it’s addiction or just coming out of depression, which I’ve been through depression and I can relate to so, so, so well. Connie –I love that. That everyone has a story and to love your story and that there’s power in your story that is so crucial. Instead of being shamed by it and staying in this stuck place, this negative vortex that just takes you back to these old triggers and these old cues and old tapes that we play in our mind. Connie – I love this. So in, in being able to utilize these skills with the journalism and then following your heart of wanting to know people’s story, helping them to validate their story and love their story. Where did that take you next? The next big shift? Jodi Robinson –You know, honestly, it was loving my own story and I found of all things my, my story within the stories of these women whom I started to mentor, so I didn’t understand that I had depression throughout my life. I called it “funks”. I kind of would go in something, but I would get pulled out pretty quickly. I’m like, the glass is always half full and then overflowing. I have eternal optimism. And, and Connie, would you describe me ahead of time? I always feel like I have to tell women, you know, don’t listen to somebody’s resume and then go, “oh my gosh” because you’ve got to also put in there “‘kay, Jodi’s had lung surgery, I had half my right lung removed. My father was actually run over by a woman who was on high on drugs about 18 months ago and that shifted our entire family and I had to go through deep, deep forgiveness because these women that I loved and I mentored now somebody who made that choice to use drugs ran over my father and gave him a traumatic brain injury. So when we talk about those highs that are like, yes, you know, she climbed a mountain, she hiked through the Grand Canyon. Well, I’ve also suffered from those very things that these women that I’ve loved and mentor have suffered from. We’re no different. And so one of the messages that I loved to remind myself of is, Jodi, your story is the same. It’s just different. So my experience with depression came on at a time when I lost a pregnancy at four and a half months. That was the first time I became chemically depressed to a point where I could say it was darkness. So as I am able to relate to other women with various different backgrounds and experiences that have put them into, say a depression, it’s, it’s a place of sameness, of oneness. I love thinking of the word Namaste-where I honor that divine that is in you. We’ve all come to love that word, I think, in this circle of transformative leaders. But if I’m honoring at the side of another person, I also have to honor myself and accept that depression was so scary and it was something I couldn’t get out of all by myself. Not without help, not without a counselor, not without a doctor. And so along the way, who knew that I would learn more about myself and about not living in shame. Not living in shame for not having a life that was dotted with abuse. I grew up with a really loving mom and dad, but we did lose…My dad lost a business when I was young and it very much effected me. So what was interesting is that it’s so unexpected was going along with each of these women that I would mentor and discovering something about myself that then became that wonderful connection that if I would be true to it and I would share it, we would find relationship and we would experience connection. That’s the beauty. We are meant to connect. We are meant to be friends and to have, have experiences learning from each other. So there’s the journalist to me, it’s like find the story, find the person. But instead of just writing about it and leaving it alone, I’m like, come to a gathering. How many women can I fit in my living room? And I wish, I wish that that’s how every day could be. It’s very genuine. But I think honestly that shift of learning about myself, it is the gift that I didn’t realize I could, I could experience. And so women will say, well look what you gave me. And I’m saying, no, but look what you did for me. I love the fact that in that, that shifting from this journalism, I’m going to do this kind of path to wow, opening yourself to your story, that then this, I love that recognition of I am just like these women that I’m mentoring. I love that the same but different and that’s kind of that novel that it’s really popular that when you think about that, that maybe, you know, ours is food addiction and theirs this prescription drugs or maybe ours is recovering from a family abuse and theirs is that they had a beautiful life, but then they turned to something else. Or maybe it’s that we are now being passed the baton to change family legacies. It’s the same bottom core things and the chord that I’m hearing from you is when women go through their lives to be able to validate their story and then be able to reach out, to connect, to support, and then to receive that support without feeling ashamed that they need that support. Whether it’s for depression, whether it’s for helping them find their purpose, but just being able to be open to receiving that help and to lending that as well. That is just such a key thing. Connie – I love that these are great principles for dealing with life challenges. So kind of on this last sort of leg of this, of this unexpected life learning that you’ve been going through and sharing with other women and connecting women with it. What do you feel are some key things that women can do if they are facing these life challenges? One thing we just said was, you know, support, reach out for support, not be shamed in your story, validate your story. What are some things that you feel like through either faith or family or community that if a woman is dealing with a challenge, whether it’s in marriage, children, a job, health, finances… What is something that you’ve seen in working with women and mentoring them for over almost 20 years? What do you think are some real pearls of wisdom that you’re like, you know what, these are some go to things that they can really use. Jodi Robinson –So you’ve mentioned the connection, which is absolutely key because every time we go through something difficult, isolation is what we want to automatically go to. So yes, absolutely that. One of the things that have has helped me is creativity. And it’s different for every single person. Dreamcatchers did not, was not on my radar. It’s not like I was a little girl going, I am going to start a dream catching business. So I think how this landed in my lap is just a perfect example of we are meant to create. And when we’re creating whatever that looks like, you may create it, be creating a grocery list and you may need to dot little flowers at the top of that. Or maybe you are totally a minimalist and your grocery list has to just be black and white and clean. But you’ve got gorgeous lettering that you take time, you know, to really write every letter and define. These are creativity tools and these help elevate our mood. They help give us an identity, and so I would say tap into your creativity. Women, whether you are coming from an addiction recovery, whether you’re coming from just a hard period of not feeling self-worth, of not knowing, deep down inside that you are loved when we tap into creativity and really get in there and allow yourself, if you want to paint, paint and if it’s, if it’s completely different than the paint by the numbers picture on the box, it doesn’t matter. It’s the fact that you put a paintbrush in your hand, you dipped it in the paint and you went for it. It’s the process. So I love the saying, “trust the process” and that was taught to me at House of Hope 20 years ago and we all hear it now today, but I don’t know the depth of it really communicates to and rings true to everyone. It does to me trust that creativity is part of the process. Look at the laundry, look at filling your car up with gas, look at the sunshine and the today happens to be a beautiful blue sky day with that, with that snow that is just white as unclean. I can create a heart and my front yard and my snow boots and I plan on doing it or a snow angel. I am not too old to do that. Creativity comes in every shape and size and form. Sometimes it’s just taking Play-doh with your little kids at the counter, but tapping into creativity is going to get you back to your core. But we are taught to follow that to do list and creativity is not on it. Unless we are understanding that yes, creativity is part of your things to do list. It can be part of every single aspect of that box. So that to me is number two. And then the third thing I just want to share is a quote that I just love, but think of those storms as not coming to disrupt your life but coming to clear a path. And that to me is a shift in going from a negative [type of] thinking to a positive [type] and just believing in that. But for me staying the glass is half full. And for me, it’s got a brim over the top. Sometimes I’m just too Pollyanna-ish, but it’s true. But I also know, I know what it feels like to be in those dark spaces, but I refuse to give up because I know women who against all odds should be giving up and they don’t and they inspire me every single day. So every ordinary woman out there inspires me too, because it’s hard to Carpool 10 kids in a van with music blasting, you know, from your teenagers and your preschoolers want, what’s the shark thing that’s popular today? I mean, some of the moms I see at the school, I just go, Oh, bless you, Namaste you beautiful, beautiful woman. You know, I’m at crumble cookies grabbing a cookie and I should be on a Keto Diet. Well, hahaha, there I am with five other women and we’re like, here we are. I just say embrace and so embrace and love. I don’t think we could love enough. So those are my tips and they’re a little all over the place. But that’s who I am. Connie- I love it. And I love that analogy that you did, that the storm clears the path because we just here in the west, we just had this big storm last night. It was a whiteout. It was just treacherous. blizzardy, coming right at you through the windshield, can’t even see and this morning, blue sky — crystal clear. The air is gorgeous and yummy and that’s exactly right that recognizing the storm is not a stopping place. It’s not an ending, it’s just you move through it to the good spot. That one thing I want to wrap up with them on. Coming back to that creativity, I love how you share that. That is a part of everyday life and if I can add to that, it sounds like what you’re saying is that it needs to be woven through what we do, not a thing that we go, okay, it’s 7:59 we’re going to do some creativity. Yes, we can do that, but that’s not the only way to be creative. Like you said, little doodles or stopped in smelling some yummy melons or whatever it might be that we are engaging in creative thought, creative experience to make the day savory, not just an accomplishment. I got five things done and you still have 52 more to go. You’re not going to feel the fulfillment that the creativity will help bring that. So let me wrap this up in a way of helping women who have just maybe joined in or not sure, I was talking with Jodi Robinson today was community contributor and leader and just wonderful and helping women, mentoring them for over, I’m almost about 20 years and everyday women plus women and addiction and recovery. There’s power in your story and share and connect through your story. And as you go through daily life, that means you’re going to have to deal with forgiveness and you’re going to reach out and connection. You’re going to add in creativity and you’re going to be positive about the storms that come your way, adding in that love. But whatever happens, you go back to whatever unexpected life shift you have, what an unexpected life challenge comes. Open your heart to that. See that as a stepping stone and be able to know that as you move forward in life with this vision of, you are writing and creating your story and it’s valid and it’s wonderful and it’s beautiful in all of its messiness, that as you do that and keep reaching higher, you are going to feel that fulfilled way that you want to feel. You’re gonna feel the meaning in your life. You’re going to feel the friendship that you are desiring. It’s in those actual things that you’re experiencing and preparing for that next step that you’re actually living the life you want to live and making sure that you’re staying present with that. I love these things, Jodi, so, so great. Connie – Hi, I’m Connie Sokol and thanks for listening today to Balance reDefined. Don’t forget to rate and subscribe and if you liked it, get even more life shifting. Learning with my Facebook where you get more life hacks, experts, community and connection. Join us an add your voice today at facebook.com/conniesokol.